The Autumn Equinox (also known as Mabon) is celebrated when day and night are of equal duration before the descent into increasing darkness and is the final festival of the season of harvest. For many pagans, this is the time to reflect on the past season, and to recognize the balance of the year has changed. 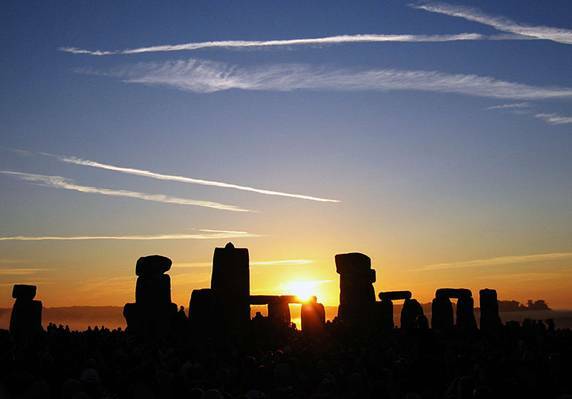 2012 Autumnal Equinox takes place on September 22nd, at 16.49am UK time , but when ‘open access’ to Stonehenge starts is decided by English Heritage and depends on visibility. Hello. Mabon is not pronounced MAY-bon. It is a Welsh word and thus has a short ‘a’ as though it was ‘mabbon’.